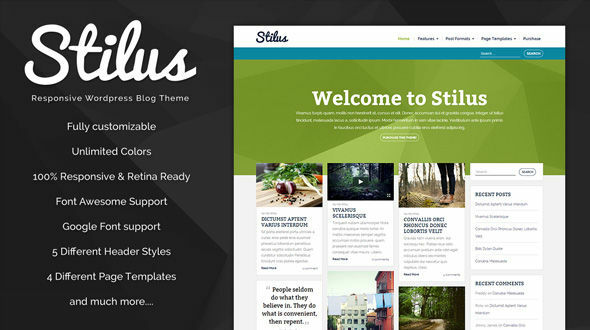 Stilus is a fresh wordpress blog theme that elegantly displays your blog posts. 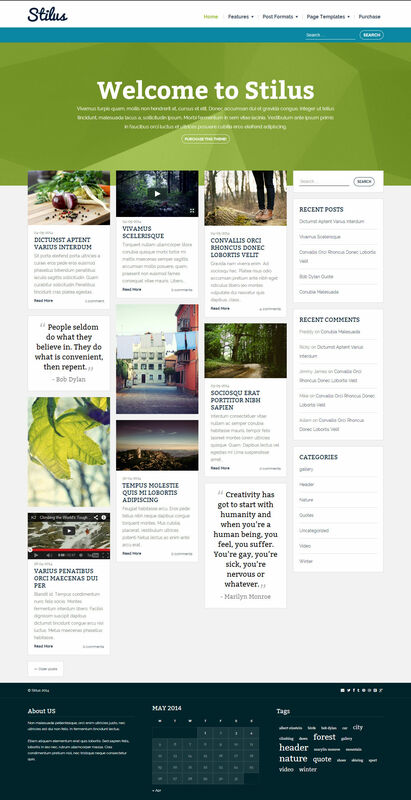 The theme is perfect for Blogging, writing travel journals, poems and can also be used as a portfolio. Stilus is also completely responsive, fully customizible and very easy to setup!